Formal mathematical logic is the foundation on which all of mathematics and mathematical reasoning is built. This track provides a rigorous, university-level treatment of this area of mathematics. 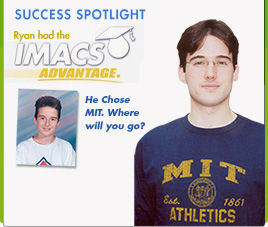 Students who complete the entire IMACS Advanced Mathematical Logic track typically will have an "unfair advantage" with a mathematical foundation that will make all technical classes significantly easier. Former students remark on this effect in courses ranging from physics to philosophy to computer science to pre-law. 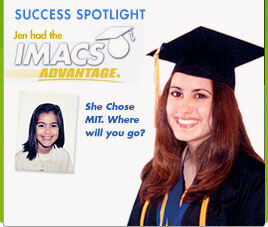 This sequence of courses begins with the subject matter of the logic courses that are a required part of a college major in mathematics, engineering, computer science or philosophy, and goes on to introduce the techniques in logic and reasoning that underpin research and development in mathematics. This course introduces students to Propositional Logic, a branch of modern mathematics that provides the foundation for formal and rigorous mathematical proofs. This course introduces students to Predicate Logic, a so-called "first-order logic" sufficient to formalize all of set theory, which provides the basic language in which most mathematical texts are written. 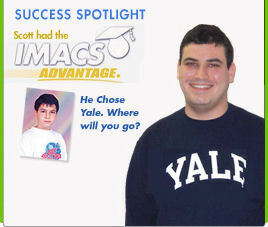 Due to the sophisticated and challenging nature of the curriculum, students must pass an online aptitude test before being accepted into any eIMACS course. 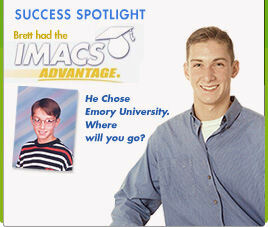 Register for the free eIMACS Aptitude Test.